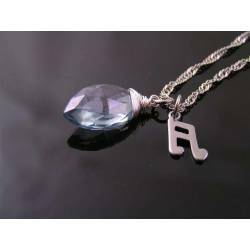 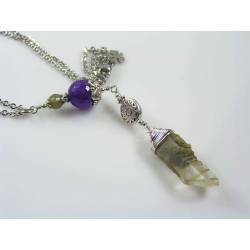 Necklace with several good luck charms and sparkling crystals. 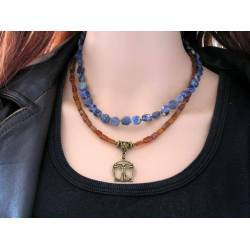 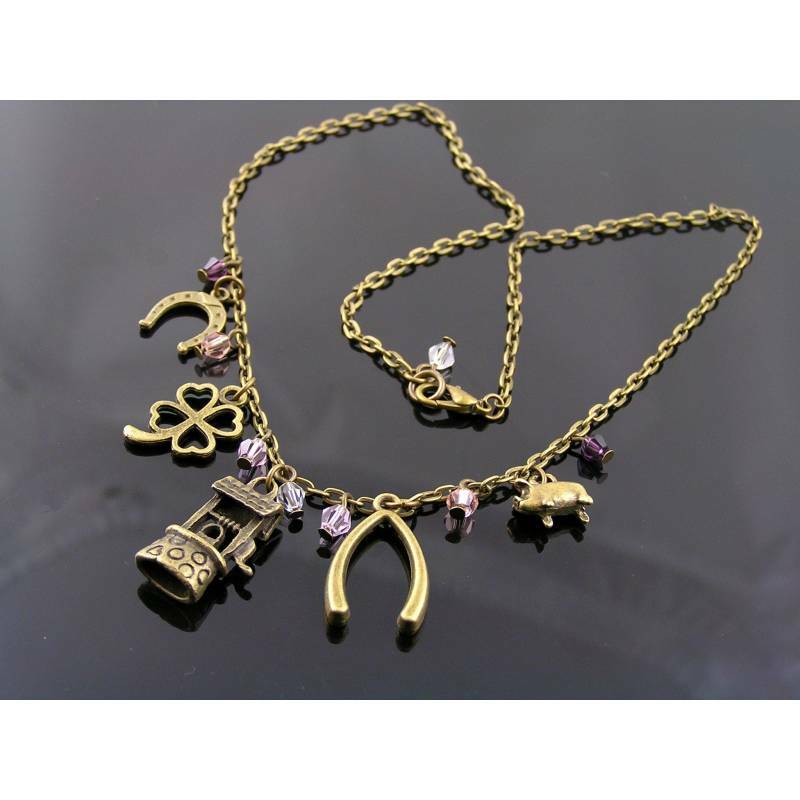 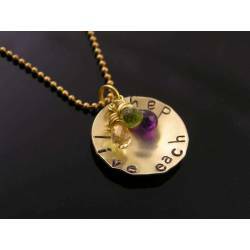 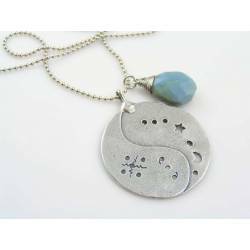 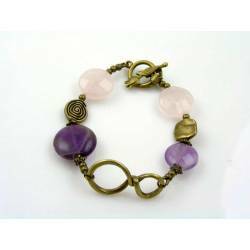 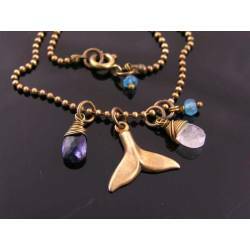 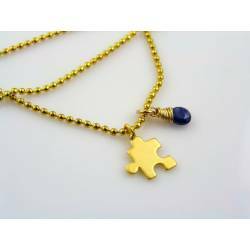 This necklace displays several charms which are symbols for good luck wishes. 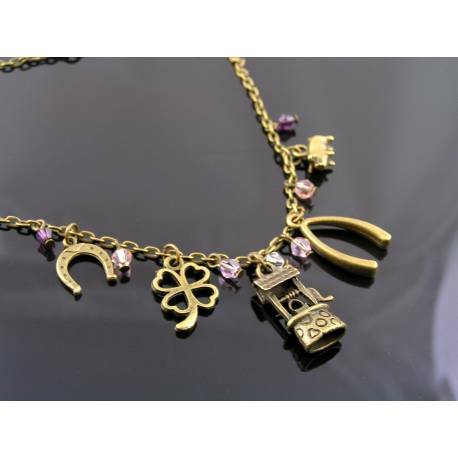 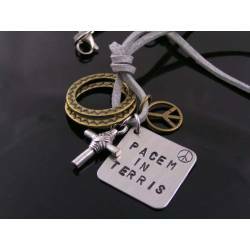 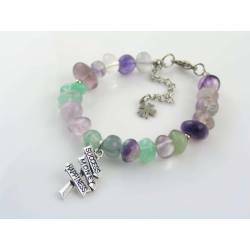 The center piece is a wishing well charm with a wish bone and a four leaf clover charm to both sides. 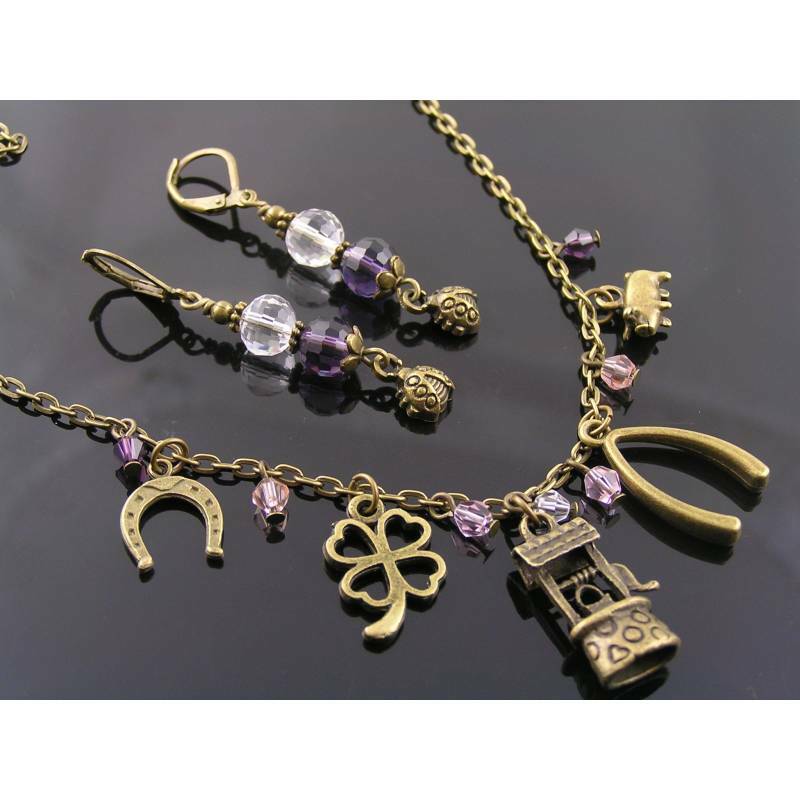 Next are a horse shoe and a tiny, 3D pig charm. 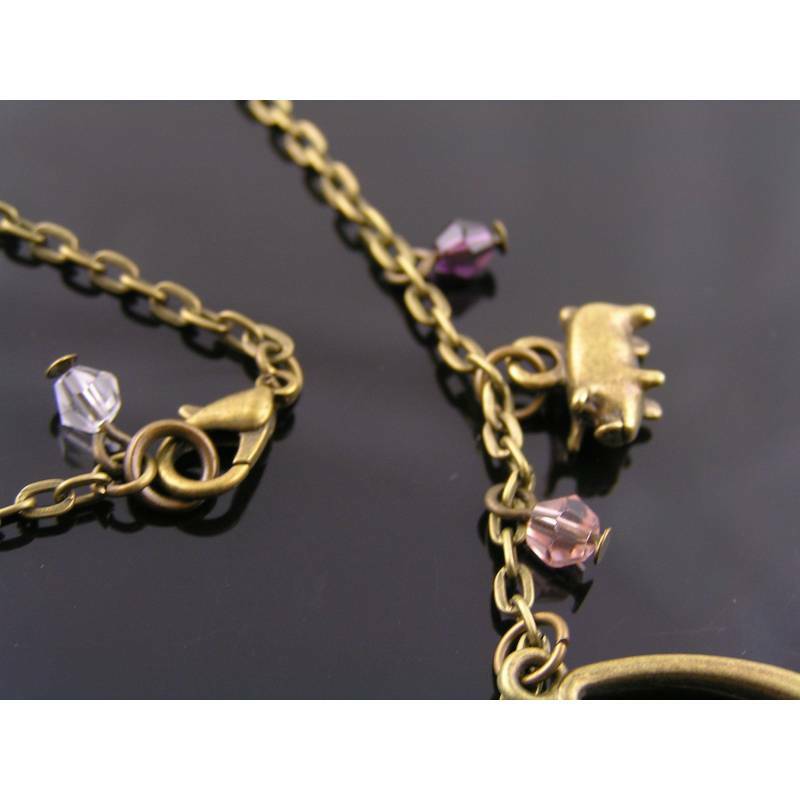 I have placed pink and purple crystals in between the charms and also one next to the lobster claw clasp. 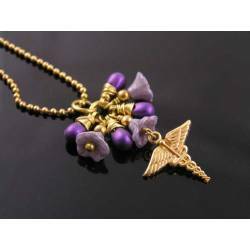 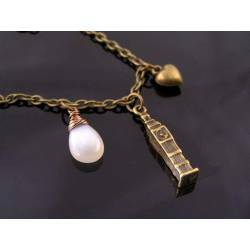 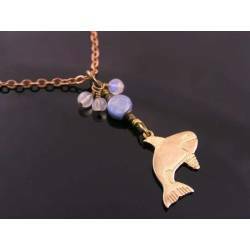 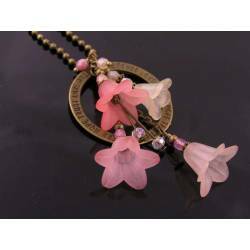 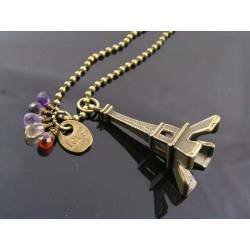 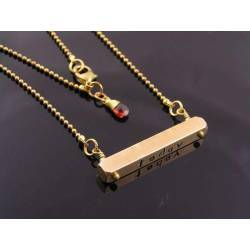 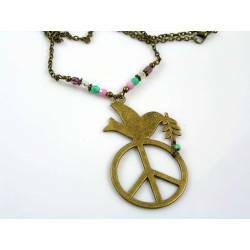 Total length of the necklace is 45cm, all metal is antique bronze finished. 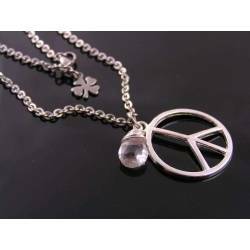 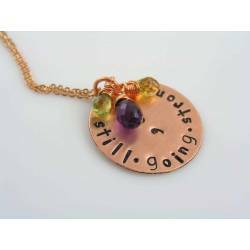 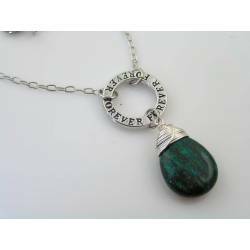 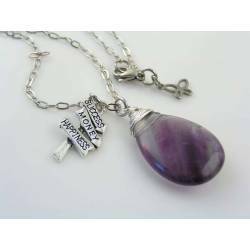 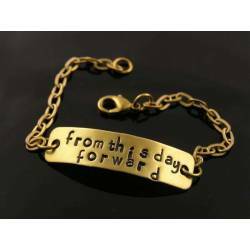 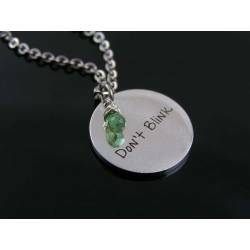 Just the right necklace if you need lots of good luck or perfect as a gift for a friend. 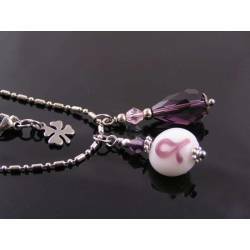 * The last photo shows matching earrings (available separately) with little lady bug charms - even more good luck.